The Rite of Christian Initiation of Adults (RCIA) names the communal process by which interested persons hear and respond to the Gospel and gradually become full members of the Catholic Church. Evangelization is necessary for Christian initiation; it happens when people hear the Gospel proclaimed in word and deed and come to a particular Christian community because of this stirring of Faith. Conversion is first a work of the grace of God who makes our hearts return to Him. Conversion is a gradual and on-going process that never ends. It involves various stages of change. Conversion is a turning from something, coupled with the turning toward something else. Christian Faith is conversion to Jesus Christ. The RCIA is the communal liturgical and formational Faith experience journey that people actively participate in toward full initiation in the Catholic Church. The RCIA as formation process looks to the gradual inner transformation of the individual to God’s call as given week by week in the Lectionary of Scripture readings at the Sunday Eucharist and religious education classes. 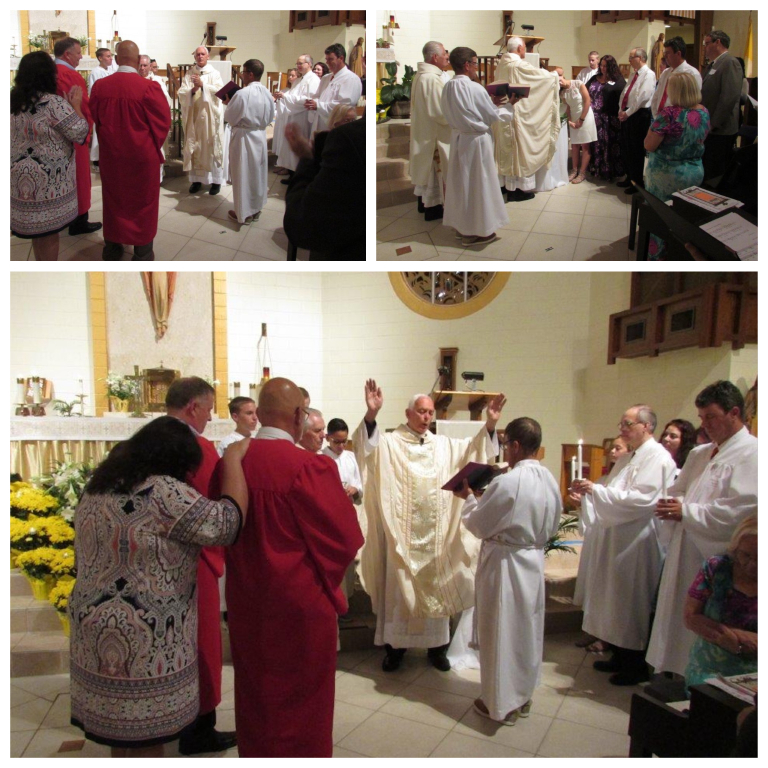 The rites celebrated throughout the process give graces that aid in the person’s process of conversion, understanding Church teaching, and the desire for living Faith in community. The Church is offering here an invitation to conversion. No commitment is necessary in this period. These meetings are intended to help a person decide whether they want to continue learning about the Faith. The RCIA, generically called the Catechumenate, is a responsibility of the whole Church; this responsibility takes particular shape mainly in parishes, the normal locus of Catholic community life. In view of this commitment and obligation of the Church, we provide an outreach person/sponsor for each person who presents himself or herself as an Inquirer; these Church-provided Sponsors will serve as spiritual companions and teachers of the Faith as they seek to discover God’s call. A catechumen is one receiving religious education in the Faith with a desire for Baptism. A candidate is one receiving religious education in the Faith and is already baptized in another denomination. The Period of the Catechumenate embodies the first stages of commitment leading to full membership. For a person to enter this phase, she/he must already have come to Faith in Jesus Christ as their Lord and Savior and sincerely desire to become members of the Catholic Church. The beginning of this period is marked with a Rite of Acceptance/Welcome at St. Francis of Assisi Church’s Sunday Eucharist during Advent. The Pastor, Father Richard York and the Church welcome the catechumens and candidates. Father signs them with Christ’s cross, and he and the local Church pray for them. During this period, the conversion is deepened and appropriated; the catechumens and candidates come to know more and more deeply the love of God in his/her own life and in the midst of the Church community. The Period of Purification and Enlightenment corresponds to that time known in the Catholic Church as Lent. The six-weeks of preparation for Easter is a prayerful time for catechumens and candidates, who are now known as the Elect (chosen by God and called by Christ), as they prepare to become full members of the Catholic Church. It is a time to come closer to God and deepen their commitment to continue on the journey of conversion to the Easter sacraments. The Rite of Sending at St. Francis of Assisi Church’s Sunday Eucharist begins this period on the First Sunday of Lent. The Catechumens sign their names in the Book of the Elect, and Father York and the Church pray for and recommend the catechumens and candidates to the Bishop. They are sent to the Rite of Election/Call to Continuing Conversion. The Rite is celebrated at Epiphany Cathedral with the Shepherd of the Diocese of Venice, Bishop Frank Dewane. By this Rite, the Bishop speaks for the Church in the name of Christ and acknowledges that they have been chosen (elected) by God and called by Christ. Bishop Dewane accepts them as candidates for the Easter Sacraments and assures the candidates of his and the Church’s loving support. 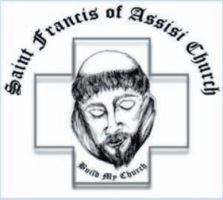 Throughout Lent, our pastor, Father York and the people of St. Francis of Assisi offer special prayers at the Sunday Eucharist for the Elect; they are called Scrutinies. These are prayers for a strengthening in grace and virtue, for purification from all past evil, and for freedom from any bonds, which hinder them from experiencing the love of God. Throughout this period, the Elect are invited to join with the whole Church in a deeper practice of prayer, works of charity and in the practice of fasting. The Sacraments of Initiation are celebrated at the Easter Vigil on Saturday, March 31, 2018, 8:15pm. In Confirmation, anointing with the special holy oil call chrism seals (confirms) the initiation by the power of the Holy Spirit, and participation at the Table of the Lord in the Eucharist marks full membership in the Catholic Church. The period of Mystagogy officially lasts from Easter Sunday until the completion of Easter season, fifty days later on Pentecost Sunday, and completes the initiation process. Those who have just shared in the Sacraments of Initiation are called Neophytes. During this period of Easter joy, they reflect on what they have just experienced, and look to the future as to how they can now serve in the mission of Christ, who came to bring salvation and life to the whole world. This period reminds the whole Church that life in Christ constantly calls us to grow and to look for new ways to live the life of grace, personally and together in community. The primary setting for these fifty days is the Sunday assembly in Eucharist. By means of this process, interested non-baptized persons become Catechumens, and Catechumens become full members of the Catholic Church by means of Baptism, Confirmation, and Eucharist, which are referred to as the Sacraments of Initiation. When one speaks of a baptized person from a Protestant tradition, for example, who is preparing for reception into full communion in the Roman tradition he/she will not be re-baptized. This person is a candidate for the Catholic Sacrament of Confirmation and a candidate preparing to receive Holy Communion in the Catholic Church and thus become a full member of the Catholic Church. The focus is on conversion throughout the process. An understanding of the Catholic beliefs, the experience of Catholic practices, Sunday worship, the liturgical seasons, and the experience of Catholic community are all-necessary for an informed commitment that will last.